In 2015, Xseed Games brought Falcom’s The Legend of Heroes: Trails of Cold Steel to the PlayStation 3 and PS Vita. This was a notable release, since it followed both the game’s Japanese release two years prior and Xseed’s The Legend of Heroes: Trails in the Sky SC. The first Trails in the Sky game released in 2011 on the PSP, a series that had been quietly existing for a while found its niche, and Xseed did what it could to capitalize on its success. These are all massive games with novel-size scripts, therefore the finer details of these releases are fascinatingly turbulent. Ultimately the red carpet was rolled out for Trails of Cold Steel, and it has since become the banner subseries of the greater franchise. But there was a logistical issue, one that needed righting. So, here we are, with a new re-release of the first game on a new platform. 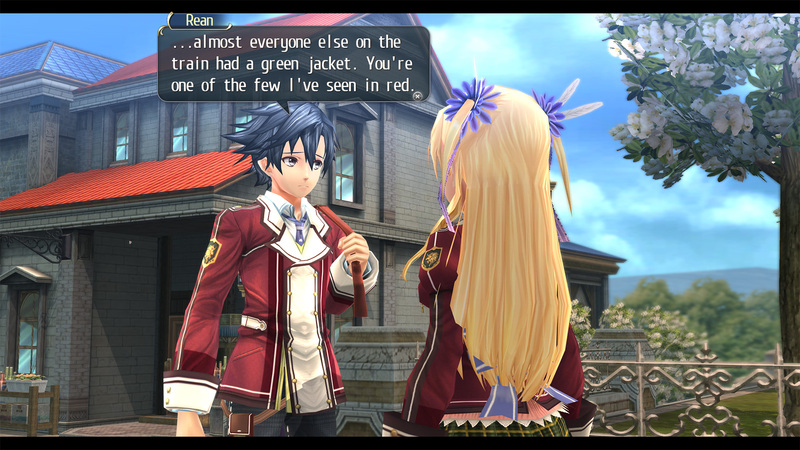 A lot has happened since Trails of Cold Steel first dropped for the PlayStation 3 and PS Vita. Both systems have run their course, leaving the PlayStation 4 and PC as developer Falcom’s primary platforms (with the Nintendo Switch recently coming into view as well). Trails of Cold Steel was indeed released on Steam, and the further sequels, the third of which is on the way to North America soon, are PlayStation 4 exclusives. Various factors, including the disparity between gaming purchases in Japan versus the West, led to that decision. Also, Falcom has since moved to do business with NIS America, instead of Xseed Games. However, Xseed still has the publishing rights to the first two games. There’s a lot of background here, because there’s a big reason why it’s so important to have Trails of Cold Steel and its sequel on the PlayStation 4. This is a long series, and the sequels are direct continuations. It’s a saga, as the subtitle of the fourth game indicates plainly. These games connect to each other, literally. I won’t get too much into it, in case you’re new here, but Trails of Cold Steel can have multiple endings, your game state can be transferred to the sequel, and presumably the third game offers a similar option. If the first two games remain sequestered on older, incompatible hardware by the time the third game drops, then what happens to the player’s personal experience? I would hazard a guess that Falcom ported these titles to PlayStation 4 for exactly that purpose. The Vita, which was the primary platform for these titles at first, had to be abandoned. Now, these new ports are patching up those holes. If you already know what’s up with Trails of Cold Steel and are curious about the new port, here’s the skinny. There, frankly, isn’t much new to play with here. Based on why I think these ports exist, that isn’t really the point. This release is much like the PC version, which adds some more spoken dialogue to the script and ups the resolution and performance of the game. Most notably, this is the first time North American players can experience the original Japanese dub. Since many fans of Japanese media are inclined to seek out as close to the source as possible, that’s definitely a boon. Otherwise, there are new physical releases with new bonus goodies. Things like trophies carry over from the previous versions, and there aren’t any drastic differences otherwise. This is a port through and through, meant to cover some lost ground and keep the story intact more than anything else. This might be an issue for some. Trails of Cold Steel is originally a Vita game, and you can tell when you’re playing it on PlayStation 4. All the flaws stand out on a big, clear screen, such as the game’s limited animations, weird screen resolution (small black bars sit on the top and bottom of the screen to compensate), and some occasional visual glitches (nothing to do with the Vita, but still present) all baring their teeth. Otherwise, it’s the same game many such has myself really enjoyed back in 2015, and this is a great reason to revisit it and with a much smoother performance. That makes all the difference in a game with such a long runtime. Now, it’s time to move on an talk about Trails of Cold Steel as if you, the reader, have no idea what I’m talking about. Trails of Cold Steel is the latest in a long line of story arcs under the Legend of Heroes banner. This is a long-running series from Falcom, perhaps better known for the Ys games. This is more of a traditional, turn-based experience, one more interested in telling a long, detailed and involved story over having action-packed gameplay. In fact, Trails of Cold Steel is practically the polar opposite of a Ys game. It’s like playing a novel, because the long script carries this game through some of the most intense, thought-out, and planned world building you could possibly experience in a video game. Unlike something like like an Elder Scrolls or Mass Effect, much of that world building exists much closer to the forefront of what’s actively happening. Instead of choosing to read codex entries or not, you as the player will be thrust, along with the central characters, into a web of political maneuvering, class warfare, and transcontinental travel. It’s all relevant. If you really get into it, you can check out series like Trails in the Sky, which are set in the same world and are a part of the same timeline. It’s overwhelming, but incredibly well done and worth digging into if you have the time to commit to it. On the other hand, Trails of Cold Steel isn’t just about the political movement of the Erebonian Empire. It’s also very much a character-focused story, using the human element and the bonds between the central cast to help facilitate how much you’ll care about all the stuff that’s happening. At the core of Trails of Cold Steel is a story about friendship. I don’t mean “friendship” in the corny JRPG way, wherein the heroes defeat the villain with the power of friendship. The game’s front-facing part is literally about what friendship is, with characters from disparate backgrounds and conflicting motivations being forced to work with each other, and eventually learning to set aside their differences and care about each other. The power of friendship doesn’t help them win, but their friendship is what powers their motivation to keep trying. There are layers of vulnerability, trust, and compassion fueling this story that are not common in video games. This game came out before Final Fantasy XV, tackles similar themes, and as much as I like that game, Trails of Cold Steel eats it lunch. The combat and gameplay of Trails of Cold Steel is fairly standard, witch a few twists inherent to the series. The crux of it is the “orbment” system, which could be compared to Materia in Final Fantasy VII to an extent. Characters equip orbs, which are associated with elements and abilities, relevant to the color. Each character has a more defined role however, and can only equip certain kinds of orbs in specific slots. Therefore, it’s a kind of hybrid between customization and defined job roles. Meanwhile, the combat itself is very turn based, but attacks can target based on position, and players can actually interrupt the prescribed turn order with certain special skills or “Arts.” One of the big new features for Trails of Cold Steel is linking characters, which opens up for multi-hit combos and other benefits. Unfortunately, that kicks in seemingly at random, which makes setting up for big damage feel like a crapshoot at times. Combat generally remains a means to an end here, although the orbment system can be a lot of fun to tool around with. Another major point to make is that Trails of Cold Steel is a very slow burn. The story itself is long, punctuated with long dialogue sequences, slower-paced combat, and lots of running around large, open spaces. It sticks out a lot here, if only because of the measures in place to combat the pace. The dash function from the second game is here, which lets you hold down a shoulder button to run much like in the North American version of Dragon Quest XI. But also, you can toggle a high speed mode similar to what Square Enix has added to its many Final Fantasy ports. So there are two separate speed functions, which comes off as silly as well as a lack of confidence to a degree. But you really only need to lean on those features if you want to supplement your level grinding. If you haven’t played The Legend of Heroes: Trails of Cold Steel before, I wholeheartedly recommend playing the new PlayStation 4 version. It’s the most complete edition after all, even if that doesn’t mean much in terms of additional content volume. But it will be structurally tied to the subsequent releases, which will be important down the line, especially if you end up continuing with the series. If you’re coming back from playing it elsewhere, it’s less necessary. Obviously, if you want to have a save and import it through the rest of the story, this is your chance to do so. If you don’t care as much about that, and just wanted new stuff to do, you won’t find that here. This is a port for console parity, not a fun remake or remaster. But it’s still a modern JRPG classic, and one that is only the beginning of a long tale that goes some serious places. 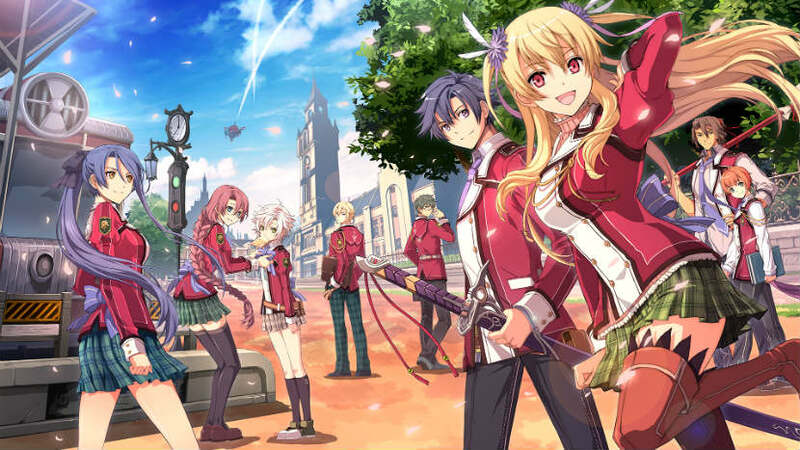 The Legend of Heroes: Trails of Cold Steel review code provided by publisher. Version 1.00 reviewed on a Standard PS4. For more information on scoring please see our Review Policy here. The Japanese dub is finally included!